Like the original red Ball of Whacks, the Multi-Colored Ball of Whacks is comprised of 30 pyramid pieces that click together with 180 rare earth magnets. 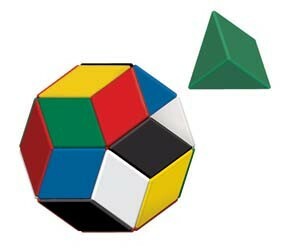 The Multi-Colored Ball takes the creative building blocks a step further. Six bright colors transform the Ball, adding another level of engaging play skills. 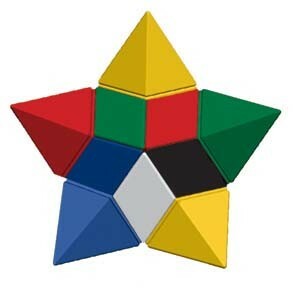 Players are challenged to reconstruct the Ball-shaped puzzle with no two same-colored pieces touching anywhere — not even at the points. 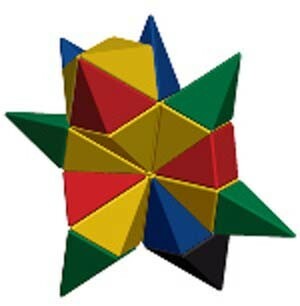 The Multi-Colored Ball of Whacks earned Level 5 Ratings (highest) from The Toy Man for: Critical Skills Development, Educational Value, Fun Factor, Innovation, and Marketing Value. 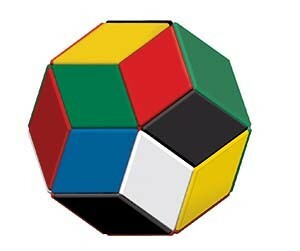 The Multi-Colored Ball of Whacks has taken a completely different approach to brain teasers and puzzles. It is a product that is designed so perfectly that people will be constantly drawn to it. 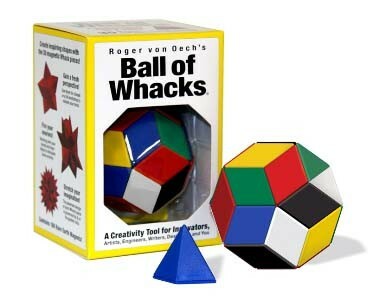 The Ball of Whacks is quite challenging and requires the person using it to stop and knock the dust off their brain cells to realize the full level of challenge and fun which the Ball of Whacks holds within itself for them. The Ball of Whacks gives maximum stimulation to critical/cognitive skill development and improvement and obviously improves creative and learning skills well beyond what one would even imagine.